Awarding companies who excel in customer service. 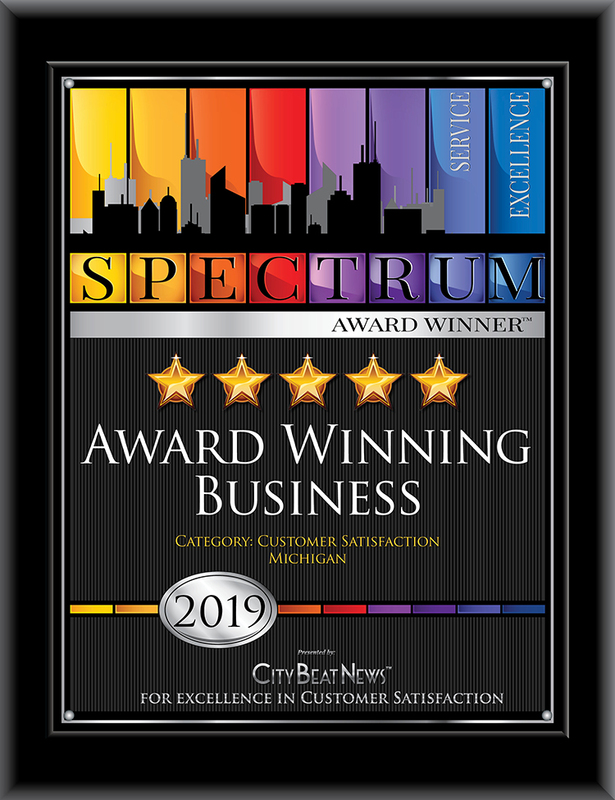 The Spectrum Award of Excellence in Customer Satisfaction presented by City Beat News was established to spotlight companies and business professionals providing exceptional service and experiences to their clients and customers. Our research is done annually and is completely independent and unbiased. The award is only bestowed upon that fraction of those who earn our highest ratings. CBN does the research at absolutely no charge to businesses and professionals earning the Spectrum Award. This is how we maintain our objectivity allowing for fair and balanced results. The Spectrum Award honor provides a recognition that can ignite a wave of enthusiasm among customers, potential customers, staff and the community. By actively using your award, you can take it from a very nice distinction to a distinct advantage over your competitors. Cost-effective and affordable marketing tools are available exclusively to Spectrum Award winners. The researchers, writers, editors, publishers and staff at CBN encourage you to take full advantage of the benefits that come with your status as an award winner. Research shows money is NOT the number-one motivator. Recognition and appreciation are! You need to pay your team fairly, but know that being recognized and respected for their contributions is even more important to long term employee job satisfaction than the money.